Stephen R. Platt is a Professor of Chinese History at the University of Massachusetts, Amherst. His last book, Autumn in the Heavenly Kingdom (Knopf, 2012), was a Washington Post notable book, a Foreign Policy “favorite read,” and won the Cundill Prize. 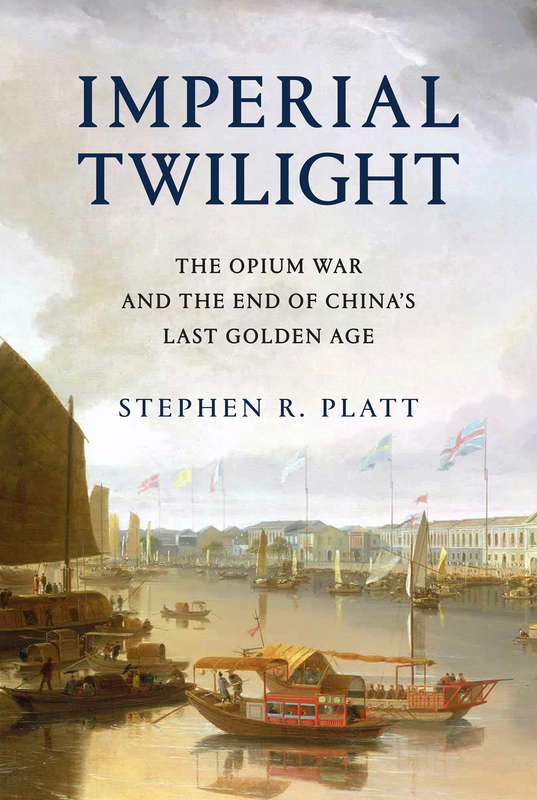 Alfred A. Knopf: As China reclaims its position as a world power, Imperial Twilight looks back to tell the story of the country’s last age of ascendance and how it came to an end in the 19th-century Opium War. When Britain launched its first war on China in 1839, pushed into hostilities by profiteering drug merchants and free-trade interests, it sealed the fate of what had long been seen as the most prosperous and powerful empire in Asia, if not the world. But internal problems of corruption, popular unrest, and dwindling finances had weakened China far more than was commonly understood, and the war would help set in motion the eventual fall of the Qing dynasty—which, in turn, would lead to the rise of nationalism and communism in the 20th century. As one of the most potent turning points in the country’s modern history, the Opium War has since come to stand for everything that today’s China seeks to put behind it. In this dramatic, epic story, award-winning historian Stephen Platt sheds new light on the early attempts by Western traders and missionaries to “open” China—traveling mostly in secret beyond Canton, the single port where they were allowed—even as China’s imperial rulers were struggling to manage their country’s decline and Confucian scholars grappled with how to use foreign trade to China’s advantage. The book paints an enduring portrait of an immensely profitable and mostly peaceful meeting of civilizations at Canton over the long term that was destined to be shattered by one of the most shockingly unjust wars in the annals of imperial history. Brimming with a fascinating cast of British, Chinese, and American individuals, this riveting narrative of relations between China and the West has important implications for today’s uncertain and ever-changing political climate.